WHAT WILL A NEW INTAKE DO FOR YOU? Adding more air to your combustion will produce an efficient fuel burn resulting in more power and better fuel economy. 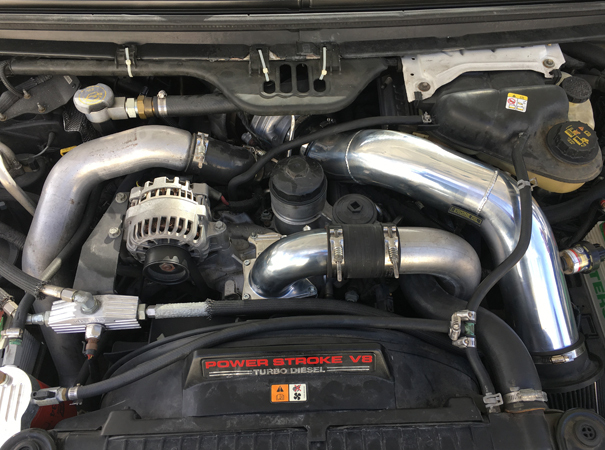 •Providing a more direct route to the air intake, allows for more air. · •Increasing the diameter of the air intake, allows increased airflow. · •Smoothing the interior of the intake will reduce air resistance. · •Modifying the length of the intake will provide the most airflow at certain RPMs. 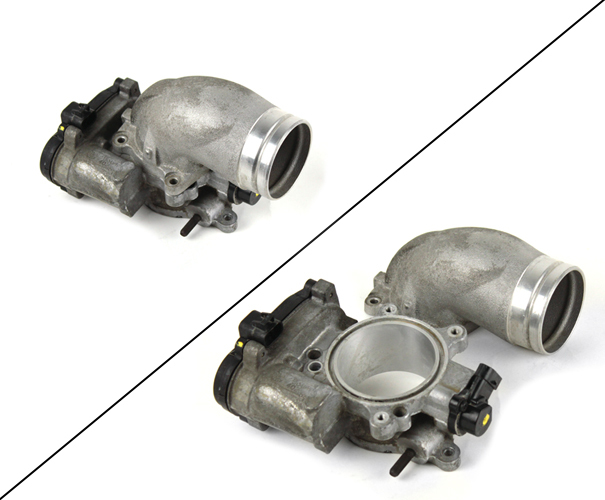 These images show an example of the 2003-2004 model OEM intake elbow. Ford had designed the intake to have a valve plate to redirect pressure to cause more EGR gasses to enter intake, but deleted this function shortly after production. You can see in this photo that the valve plate doesn't exist. The casting was left in place, but it is a "dummy" valve. It serves no function. In later years, the "dummy" valve was removed and a new style casting elbow was replaced. 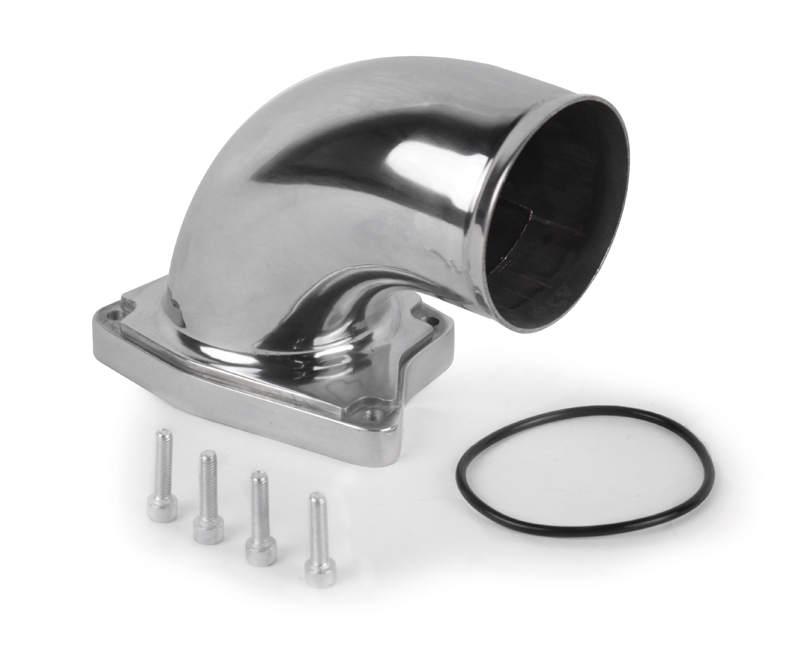 This new Dieselsite intake elbow replaces ALL 2003-2007 models. Made from cast aluminum, this new design allows for smoother and more air flow to the manifold. Polished for a chrome like finish, it can easily be Hydro Dipped for customization.